Sell Your House In Atlanta, Georgia in 7 days or less! Not only that, but you can sell your house with No Fees and No worries about paying Commissions. Keep more of your money and cash in the bank! All of our offers are fair offers and we pay all of the closing costs! Fill out the form to sell your house. Get a No Obligation OFFER for your house Now! 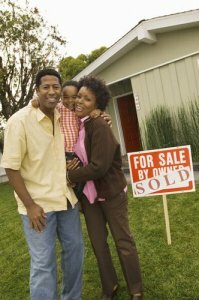 We can help you with Selling Your House Fast In Atlanta or any part of the metro area. Do you need to sell your house because of a divorce? You inherited a vacant house? You are behind on your payments and facing foreclosure? Or are there a lot of unpaid taxes on the property? We can help in all of these situations as we have done for other home owners facing similar situations. For details on any of these scenarios, click on the articles below to get more information. No matter what it is, there is a 99% chance we have dealt with the issue before and we know we can help you too. We Buy Houses Throughout the Atlanta metro area, “as is”, at any price and in any condition. To see how the process works, click here. Call us or fill out our form and we will give you A Fair Offer For Your House. Do You Need To Sell Your House in Atlanta Georgia? We can give you your sold sign in Atlanta too! no contingencies or worries about your buyer qualifying for a loan. We buy houses in Atlanta, Georgia 30316 and all surrounding areas in Georgia.